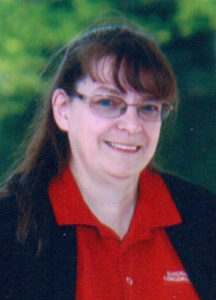 Kathy Spry joined the Rockville Brass Band in 2017. Kathy comes from a brass band family where her father, sisters, brother-in-laws, nieces, husband and children all played in brass bands. She began playing the cornet at age 9 and moved onto tenor horn a year later. She played with many bands in the UK being fortunate to play at a number of regional contests, a Championship in the Albert Hall and many festivals at other London venues. She moved to California in 2005 where she played with the Golden State British Brass Band. When moving to Silver Spring she was extremely pleased to find the Rockville Brass Band. Kathy has a Bachelors of Education degree specializing in music from the University of Reading in the UK, and has recently converted her British teaching qualification to a Maryland teaching credential allowing her to teach elementary general music classes at two local schools in Silver Spring.